Do you have fond childhood memories of a brand-new coloring book and box of colored pencils? Or perhaps a perfect unused box of crayons was your tool of choice? Somewhere along the way many of us became “too grown up” for childish things like coloring and we put away the coloring books and crayons and made ourselves busy with more important things. We traded our crayons and colored pencils for busy jobs and stress-filled lives. But I have good news. Coloring is back! 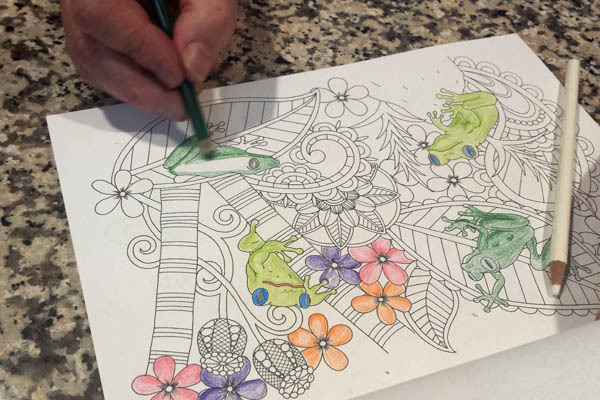 Whether it’s the act of creative self-expression or the level of mindfulness involved in coloring—or whether it’s simply the pleasant childhood associations coloring books give us, coloring books are the latest way to relax and de-stress. 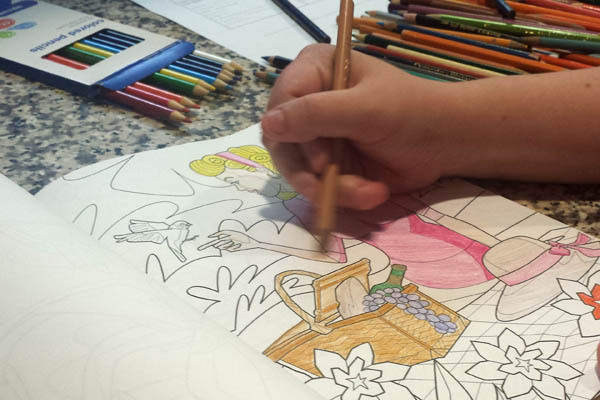 I recently put coloring books stress-reducing reputation to the test at our house. I took my two most-stressed family members—a graduating senior feeling overwhelmed by all her final projects and her dad who’s been stressed by the senior’s stress-inducing reaction to finals. I handed them each a Blue Star Coloring Book and our box of colored pencils and encouraged them to take a break. 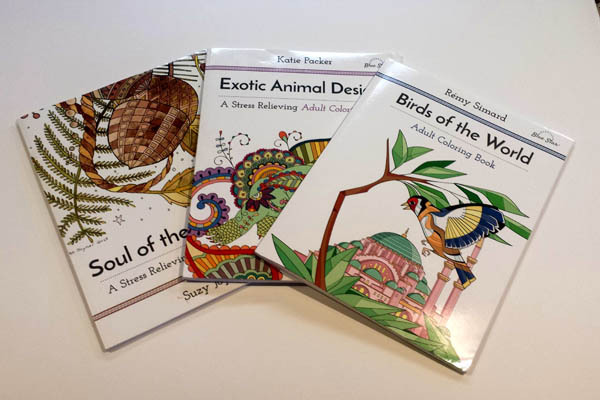 Dad, the animal lover, chose Katie Packer’s Exotic Animal Designs and set to coloring. I was amazed at how quickly he became absorbed in the activity. Even though he painted long ago, it’s been a long time since he did anything artistically creative. Senior girl, also an animal lover, chose Remy Simard’s Birds of the World. It was just what she needed after a long weekend of researching and writing reports. By the end of the evening, I actually had to pry away the coloring books to get my unstressed family to head for bed. Somehow I think coloring may become a regular stress-relieving pastime around here this summer with all the Boomerang Children taking up residence in my basement. It looks like I’ll be claiming Suzy Joyner’s Soul of the Woodland for my coloring adventures. These are just three of Blue Star’s many adult coloring books. If you’re not into nature, birds or exotic animals Blue Star has 30 different titles to choose from with subjects ranging from holidays to fantasy creatures to stress-relieving abstract designs. You can find all of Blue Star’s coloring books at Amazon.com. The books are all beautifully drawn with designs ranging from simple to elegant to intricately patterned, so there’s something for every level of artistic ability. The three coloring books reviewed here are listed at $9.99; Blue Star’s other books range between about $5 and $15. So, head over to Amazon today and choose your favorite stress-reliever from Blue Star. And while you’re there, choose a set of colored pencils or these super-cool never-need-to-be-sharpened Twistables to go with it. After all, who doesn’t love a box of brand-new perfect colored pencils? A copy of these books were provided to me for review and my opinions are always just mine.